A good set of wheels can transform your skateboard into the perfect tool for the park, street, vert ramp or bowl. That is, of course, if you choose the right set of wheels for your set up. Without the right set of wheels, you will struggle to hit your favorite obstacles with your favorite tricks. So, what are the perfect wheels for your next set up? Well, as we are about to find out, it all depends on how you skate and what you skate. Before we get to the best skateboard wheels, let’s take a look at what matters when it comes to wheels to help you choose the best set your next skateboard set up. Yes, size matters a lot when it comes to skateboard wheels. In general, skate wheels come in sizes of 50mm to 60mm. Now, there are wheels available in smaller and larger sizes than this, but as a general rule of thumb, wheels fit between these sizes. The size of wheel you should pick depends on the style of skating you want to do. For example, if you skate a lot of park, you'll probably want to skate 53-55mm wheels. These allow you to cruise around a park without the need of pushing too much, but they also mean that you can hit the street obstacles in a park without getting wheel bite. If you like skating street a lot, a set of 50-52mm wheels may be better for you. With street skating, run-ups are often far shorter than parks, so you don’t need the ability to cruise as much. So, these wheels offer a short cruising distance but also mean that you won’t get wheel-bite when you are landing a gnarly trick down a stair set. Street skating wheels also tend to be narrower then park and vert wheels. This means that you are less likely to run into cracks and stuff, which are always a hazard on the streets. For vert and bowl riding, you may want to go with wheels at the higher end of the size chart. A 60mm set of wheels is going to help you keep your speed in a bowl or on a vert ramp when you can’t push. Of course, you can still pump, but 60mm wheels will help you keep your speed even if you miss a pump or two. Once again, this decision is made for you by the type of skating you do. The durometer scale determines the hardness of skate wheels. Now, there are two scales for skateboard wheels, the A and B scale. Some skate wheel manufacturers use the A scale and you’ll see markings on the wheel like 100a, for example. While others use the B scale which has markings of 80b, for example. However, the B scale measures 20 points lower than the A scale. So, the hardness of the examples here are actually the same and pretty much as hard as a skate wheel can be. This can all get a little bit confusing but should be less confusing when we get into the skate wheels on the list below. Typically, street skaters will ride hard wheels and ramp, and bowl riders may ride slightly softer wheels. Street skaters ride harder wheels because they can slide and grind without the fear of flat spots. Park riders, typically ride the hardest wheels available. This is because they are doing a combination of everything in their skating. Grinding and sliding grind boxes and ramps and also jumping down stairs and gaps. Park skaters need hard wheels so that they don’t get flatspots because flat spots destroy your speed quickly. However, bowl and vert riders ride softer wheels because they provide a bit of cushioning and slightly more control on big ramps. Plus, bowl and vert riders seldom slide on their wheels when doing boardslides and things on coping, especially, if they are riding rails. So, bowl and vert riders don’t really need to worry about flatspots because their wheels don’t often come into contact with the ground sideways like park and street skaters. 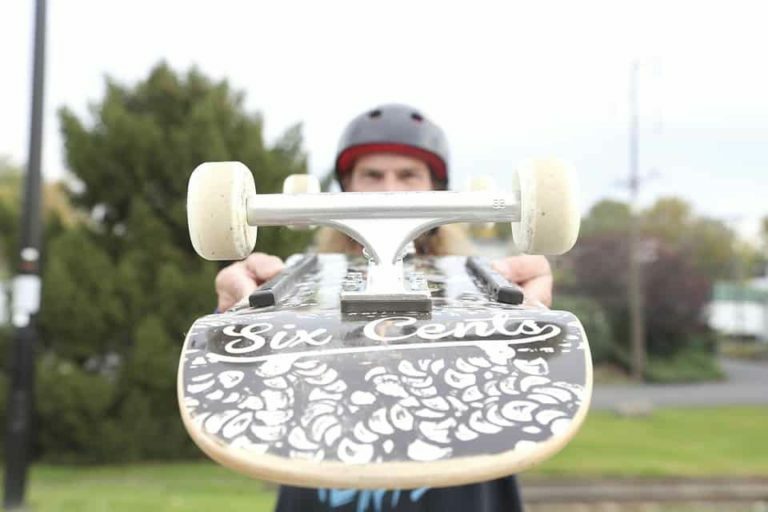 So, the size of your set of wheels is important, as is the hardness of your wheels but it all comes down to the style of skateboarding you like to do. 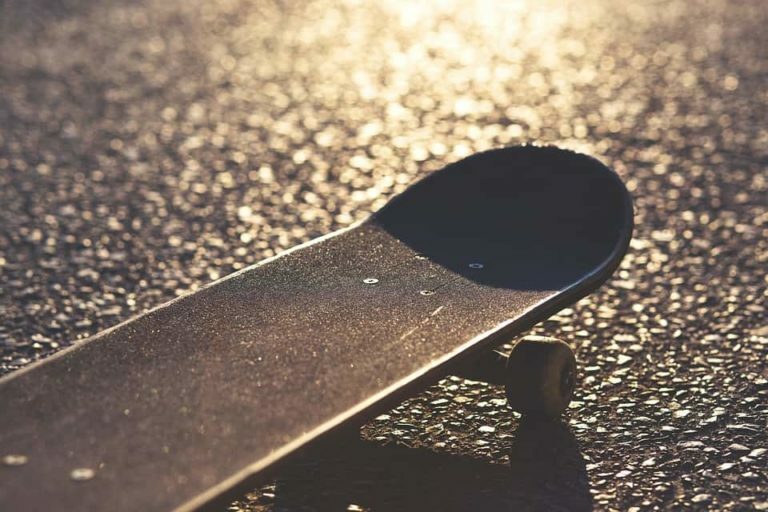 We will delve into the different styles of skateboarding more below when we get to the list and tell you about some of the best wheels for these styles. Street skateboarding wheels need to be hard, grippy and thin. They need to be hard because hard wheels do not flatspot when you are sliding, grinding or landing a little sloppy. They need to be grippy because they need to tackle all manner of surfaces, including marble if you are lucky enough to live in an area where skating marble is an option. The thinness of street wheels allows you to avoid cracks and stones and hit spots that have blind spots in front of them. Street wheels also tend to be slightly smaller than park and vert wheels. This is because you often don’t need a tonne of speed to hit a street obstacle like a stair set or gap. The wheels below have all these qualities which makes them the best wheels for street skating around! These Mini Logo wheels offer the perfect starting off point for any street skater. They are narrow, hard and small, everything you need a street wheel to be. Plus, they are extremely good value for money. The durability of this skate wheel is unmatched in its price range, and every street skater should give these a try! These are the A-Cut series from Mini Logo, the series designed for street skating. There is also the C-Cut series for park and transition skaters. Honestly, whether you are just starting out in the street skating world or want a set of wheel to throw on occasionally to attack the streets, these are perfect! Due to the nature of colored urethane, the 101a hardness level may not be a true representation of the hardness of these wheels so they may flatspot slightly easier than other wheels. These bones wheels were designed with the street in mind. The STF range (Street Tech Formula) is engineered to keep you going in the streets no matter what. So, whether you are doing a lipslide for two hours or power sliding down a hill, you shouldn’t ever flatspot these wheels! Along with the slideability of these wheels, you also get great speed to tackle any big gaps or stair sets that you might want to. Bones are one of the best skateboard wheel companies out there for long-lasting wheels. They may cost a little more than other brands, but the wheels last years! These wheels were designed to be in the streets and take all of the abuse that street skating can throw at them. So, if you’re an avid street skater, this should be your only choice of wheel! Park skateboarding wheels are essentially a combination of street wheels and vert wheels. They need to be slightly bigger than street wheels so that you don’t need to push as often, but just as hard as street wheels so that you can tackle any obstacle in the park. Park wheels tend to be as thick as vert wheels because this thickness provides more control at speed. Now, the hardness of park wheels can pose problems if you like skating ramps, but for bowls, hips, grind boxes, banks and everything else at a park, they are excellent. The wheels below are quintessential skate park wheels and perfect for any park anywhere in the world. The formula four wheels from Spitfire have become one of the best skate wheels on the market for good reason. Not only are they designed to take sliding tricks in their stride and still provide grip, but they are also formulated for a faster ride too. This combination makes them perfect for the skate park. At the park, you need speed, wheels that hold up when you’re sliding and grip. These offer it all. They are harder and faster than older Spitfire wheels and most of the competition on the market. If you are a park rider, these are probably the best wheels to buy. They will last you easily a year and keep you sliding, grinding, pumping and doing tricks for that whole time. Oh, and the Spitfire Formula Fours come in sizes perfect for the street and the bowl riders too! Can flatspot when you are really pushing a lipslide or something like that, but for most tricks and styles of skating, they are excellent. Most skateboard wheels will allow you to land tricks, however, there are some traits that make wheels more appealing to those wanting to learn a lot of tricks. Firstly, the wheels don’t want to be too big, around 54mm is a good size. This size means you don’t have to think about pushing too much, but you also won’t keep getting wheel-bite. They also need to be fairly hard so that you have a solid surface to land on. Basically, you need wheels that are going to allow you to concentrate on learning new tricks and not take your focus away from the pop, flick, catch and land! 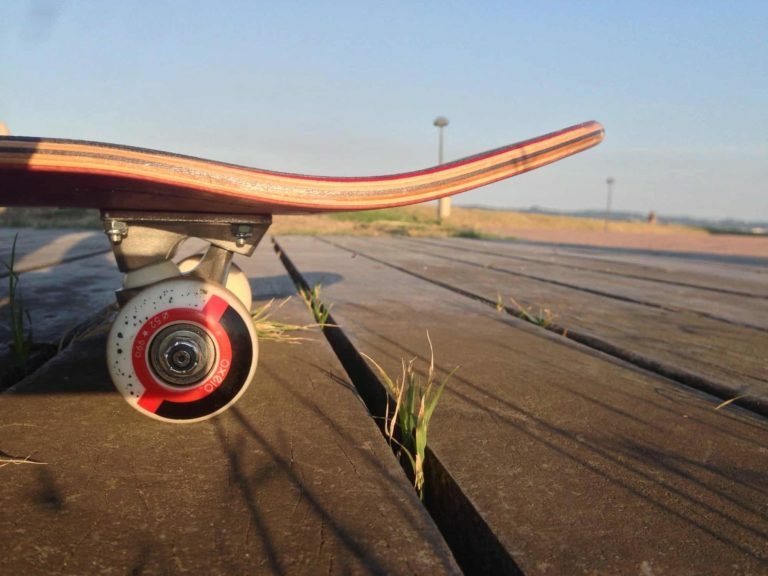 The wheels below are perfect for learning new tricks and perfecting old tricks. Well, if these work for Nyjah, they will work for just about anyone else! These Ricta’s have a 99a durometer level, perfect for grinds, slides, and tricks. They are also very grippy meaning you won’t slide out when you take your tricks to the street. These Nyjah models are also 54mm, so they are great for park and street skaters. If you want to work on your tricks and perfect them, these are a great buy. They offer a little less weight thanks to the plastic core and all the grip and speed you need to land your tricks smoothly. Vert and bowl skating require different wheels than most other kinds of skateboarding. With park and street, you need hard wheels to cope with the amount of sliding involved. However, vert and bowl skating do not involve as much sliding, at least not on the wheels. For the most part, your wheels only touch the ground when you are going forward, so, you can take advantage of slightly softer wheels. Softer wheels allow you to skate ramps and bowls that are rougher or that have cracks and still have a smooth ride. They also provide a little more cushioning when landing. Vert and bowl wheels are also larger than street and park wheels to provide more speed because you can’t push in a bowl or on a vert ramp. The wheels below were designed and tested by the best vert and bowl riders in the world so they should be perfect for you! These 66mm wheels are great for bowl and vert where you need to keep your speed throughout your run. They are made by Skate One, a manufacturer, and distributor of some of the best skateboard products in the world. These wheels come in at 75a on the durometer scale meaning they are softer than most wheels, but these provide a little cushioning and means that stones aren’t going to stop you dead in your tracks. Now, although these wheels are perfect for the vert ramp, they could also be used for cruising wheels due to their softness and size. However, most people will use them on the vert ramp or in the bowl because that is their natural habitat. Classic design perfect for the vert ramp or any concrete wave! Another offering from Powell-Peralta should be no surprise when looking at wheels for vert and bowl. After all, most of their team pioneered this type of skating, so their wheels have to be good for it! These wheels come in at 60mm and have a 90a durometer. So, they are slightly harder than the wheels above, but this can be great if you are just starting out in bowl or vert skating. Because these wheels are slightly harder, you can afford to make a few more mistakes with these and come away from these mistakes without flatspots. For example, if you are trying boardslides on the coping of a bowl and start sliding on your wheels too, these are less likely to flatspot. So, if you're beginning your journey into the world of vert or bowl skating, these will be your best friend. They are quick, soft and forgiving! When you are skating rough terrain like ditches and backyard pools, for example, you need wheels that can pass over the cracks and stones smoothly. These wheels need to be soft, but not too soft if you are doing tricks where you pop. These wheels can be tricky to find, but thankfully, the wheels below were designed for this exact purpose in mind! As the name suggests, these Bones Rough Riders are great for rough terrain as well as vert ramps and bowls. In fact, if you love skating backyard bowls, these wheels were basically designed for you! They are 59mm and have an 80a durometer. This means that they can hold their speed and keep you going over stones and cracks all day long! Whether you have a backyard pool or ditch to skate, these are the best wheels on this list for you. They aren’t so soft that you’ll be bouncing around the place, but they are just soft enough that cracks and stones won’t be a problem. Cruising wheels need to be soft so that you have a smooth ride and can pass over any cracks and stones in your path. The softer the cruiser wheel, the better ride you’ll have. Filming wheels need to be soft too but need to be slightly different than cruising wheels. You see, cruising wheels are often quite large to aide in getting over cracks, curbs, and stones. However, filming wheels need to be smaller if they are going to be used on a normal board. If they are too large, you don’t have the turning circle you need to follow your fellow skater and get the shots you want. Smaller soft wheels allow you to turn quickly and keep up with the person you are filming but still provide a quiet, smooth ride to make the filming look professional. These OJs are perhaps the best wheels for filming. They have a 78a durometer rating so they are really smooth and can help you ride over the cracks and stones, but they are only 55mm in size. This means that they can fit on any type of board without needing to buy riser pads. This makes them the best buy if you want to film or cruise anywhere in our opinion. One of the biggest floors in cruiser wheels is that they tend to be massive which means that you are restricted in your movements. This becomes a big problem when filming because the person you are filming isn’t restricted, they can turn however they please, and you have to keep up with them! Well, these Ojs mean that you can always get the perfect shot of your fellow skateboarder and keep them in frame no matter where they go! As you can see, these are longboard wheels, and so you may be thinking that we have made a mistake in choosing these, but nope, they are good wheels for cruising. Longboard wheels are great to put on a cruiser board, and these Shark Wheels are the best longboard wheels in the world. They are extremely soft, coming in at 78a on the durometer scale and they are 70mm so they are massive! These two attributes make these wheels perfect for all-terrain cruising. Now, the oddest part about these wheels is that they look square. They are, in fact, a hybrid between a sphere and a square. They look square but ride like a very smooth normal wheel. Apparently, they have proven scientific performance advantages. We wouldn’t know anything about that, but they do ride nicely and can complete the ultimate cruiser board. The moment you've been waiting for. 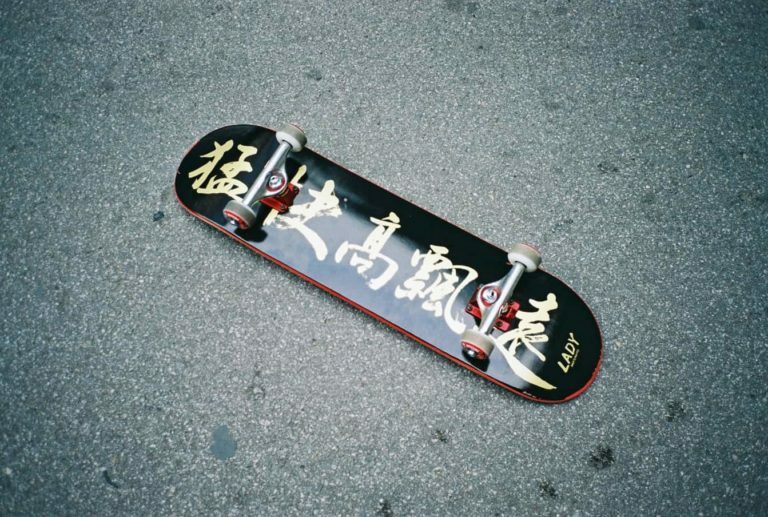 In our opinion, the wheels below are the best for a lot of different styles of skating. They may not be suitable for cruising, filming or vert skating, but for pretty much everything else, they are the best skateboard wheel. We have tested around ten sets of these wheels and have never had an issue with them and that makes them the best all-around skateboard wheel in our opinion! Bones 100s are the best skateboard wheels, in our opinion. They come in loads of different sizes but are all 100a durometer, hence the name. These wheels are perfect for street, park or bowl because they do not flatspot and provide all the grip you will ever need. These are some seriously hard wheels making them great for any type of skating apart from cruising and maybe vert. For park skaters like ourselves, these are a must. They offer the best in terms of speed, grip, and performance and no other skate wheel can really compete with them. Whether this is your first set of wheels or your 50th, buy these and skate them like you stole them, you won’t regret it! Not suitable for vert, filming or cruising, but they aren’t designed for that, they are designed to shred!